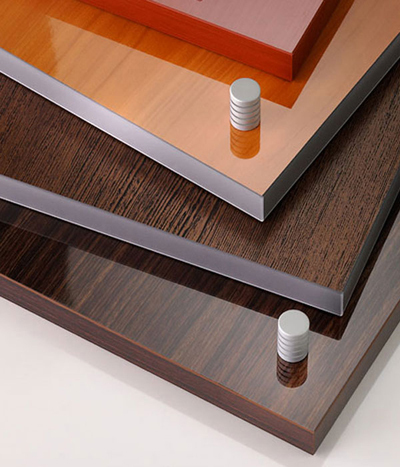 3D Edgebanding for table-tops, desk-tops, and counter-tops. 3D Edgebanding enhances cabinet doors in kitchens and bathrooms. 3D Edgebanding is Greenguard certified. Doellken manufacturers 3D Edgebanding from a transparent acrylic polymer. Retail companies and fast food giants favor 3D Edgebanding due to its appearance and wear resistance. 3D Edgebanding can be applied with all standard edgebanders including HOMAG, BRANDT, BIESSE, HOLZ-HER, and others. 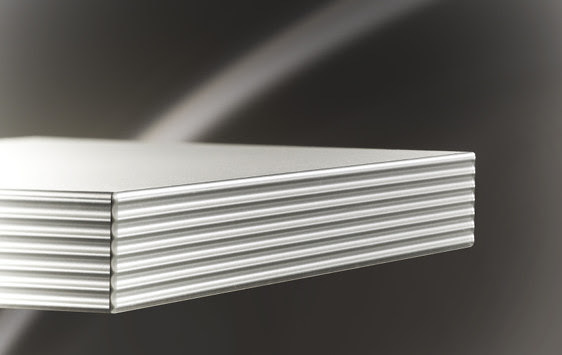 3D 2-in1 Edgebanding is a two-tone Edgebanding that compliments perfectly high gloss door surfaces. Please click here to see our 3D Edgebanding stock program.